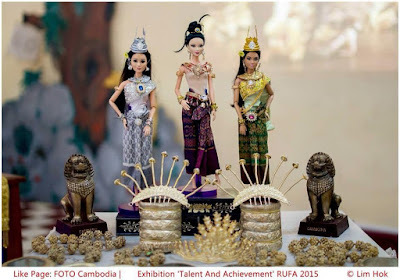 In Siem Reap, where you would be hard pressed finding a craft not exploited for souvenir-selling, Cheab Sibora, 21, has been turning the iconic plastic Barbie doll into bejewelled, ikat-clad Apsara dancers for friends and family since 2011 but is now hoping to turn them over for profit. 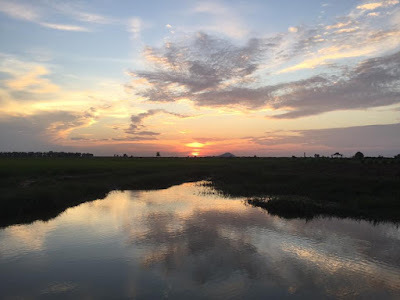 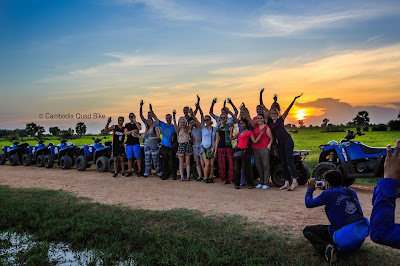 Happy with the group photo, many smile many friendly kid on the way, Beautiful sunset with rice paddy. 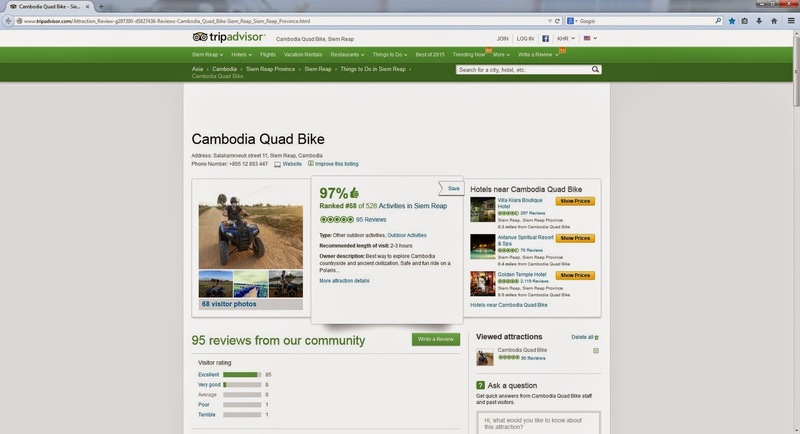 From many of our customers, we have received a favorable reception of. 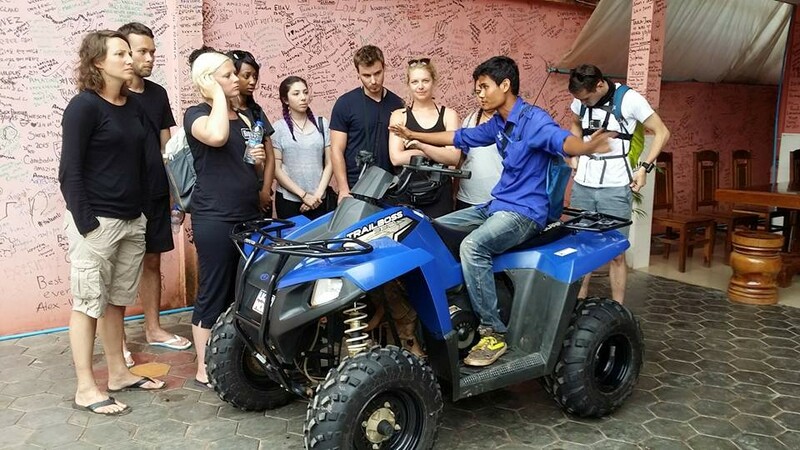 Cambodia Quad Bike guide is telling the clients about the safety before the rock on the road. 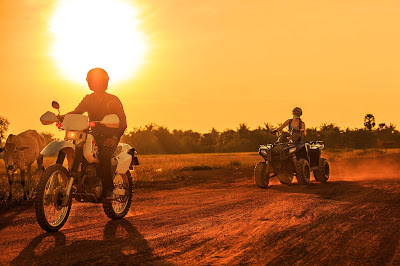 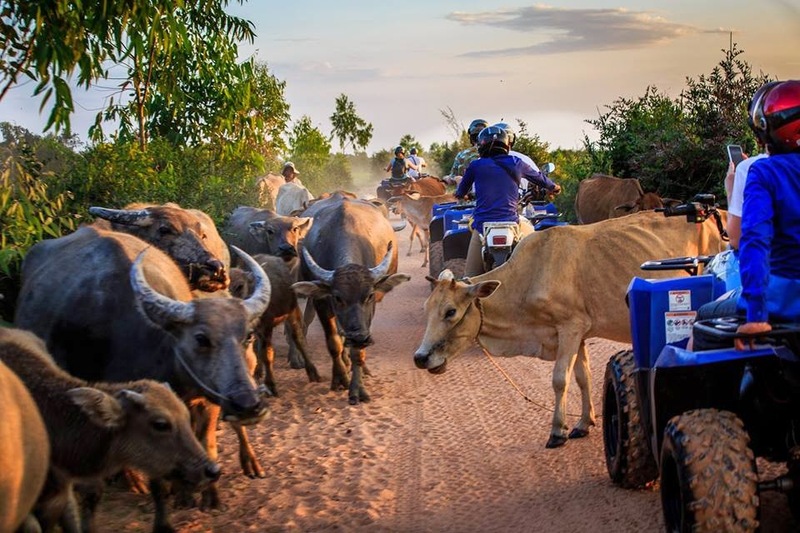 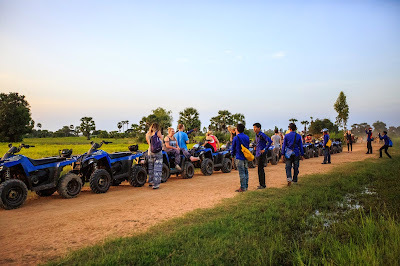 Every day the famous tour is easy ride all costumer waiting the sunset and beautiful scenery countryside with Cambodia Quad Bike staff. Have a wonderful weekend. 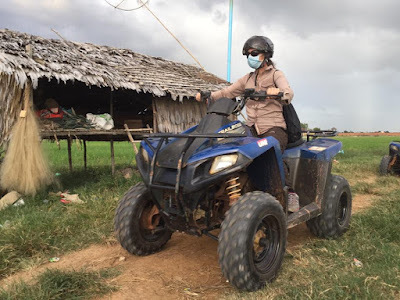 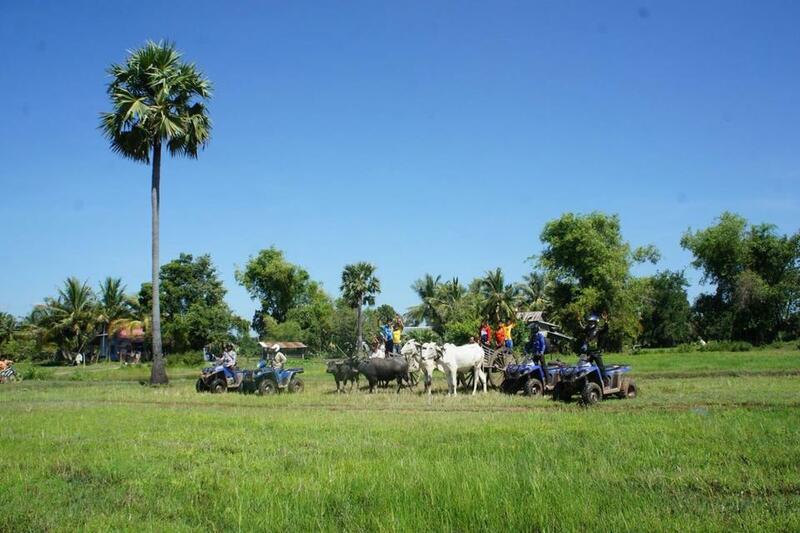 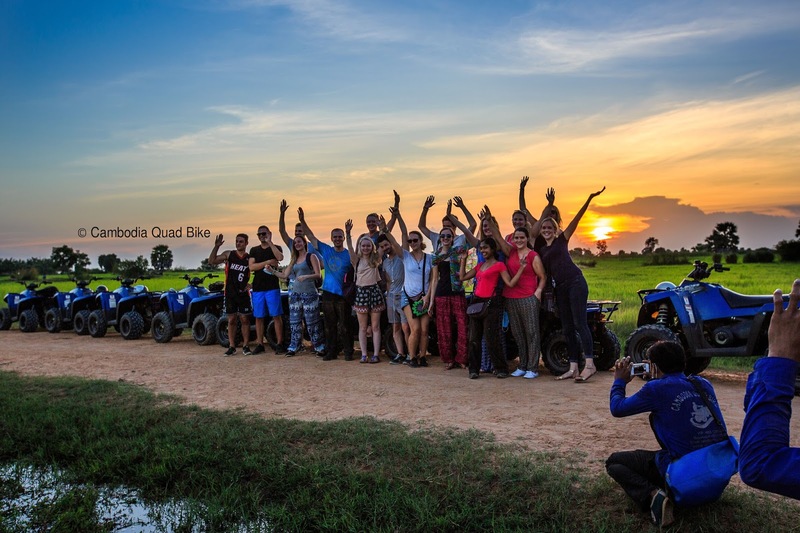 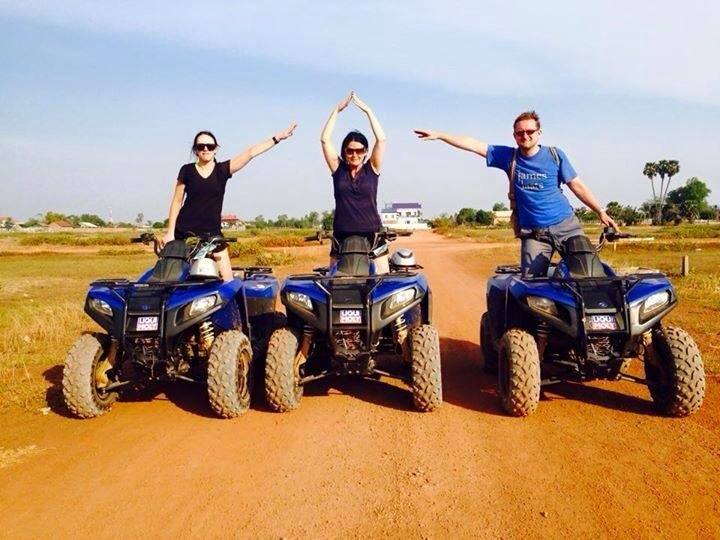 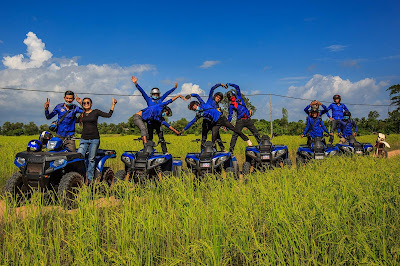 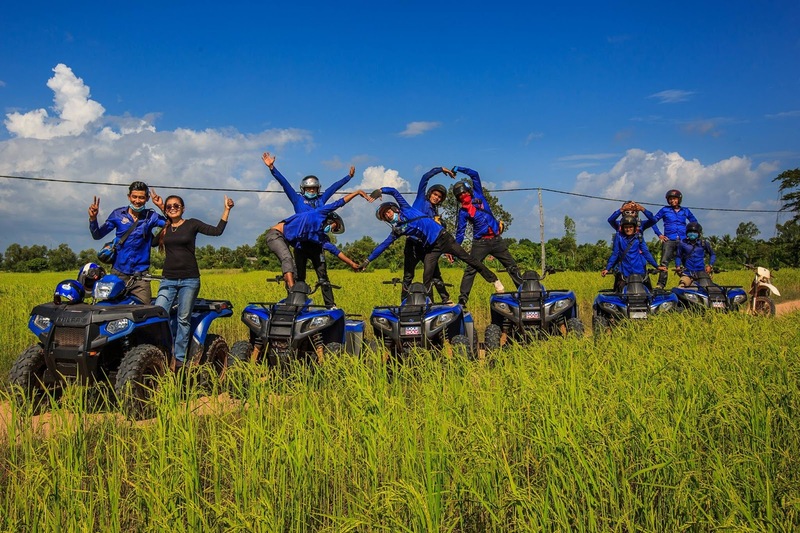 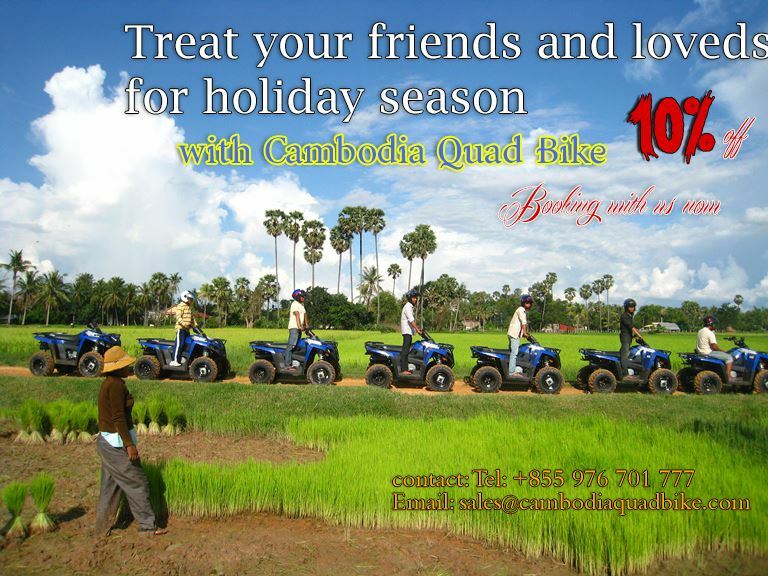 Lots of fun and happy from Cambodia Quad Bike with our staff bring you to see the rural life at the countryside. 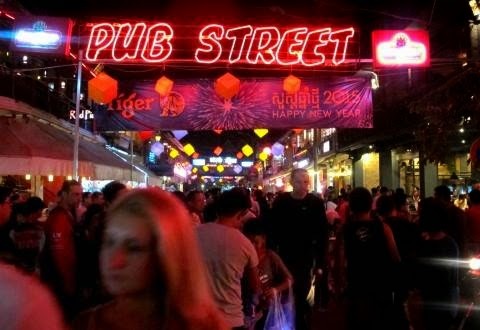 Do you have plan for this Chinese new year? 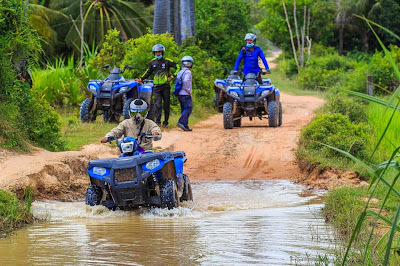 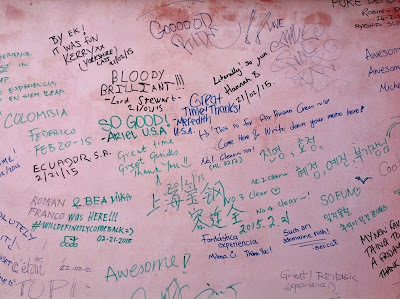 I have a great below trip that will lead you to wonder park. 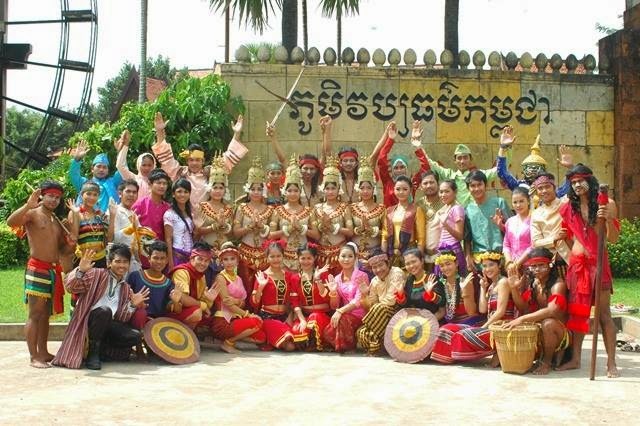 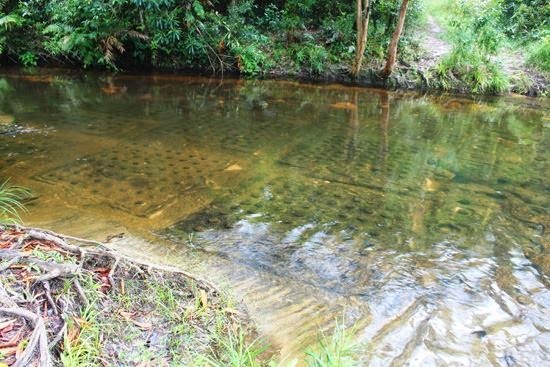 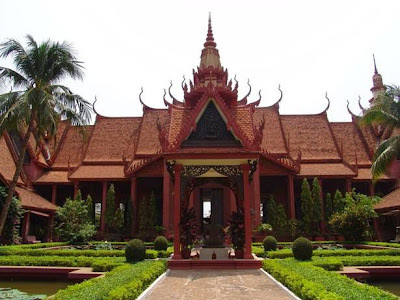 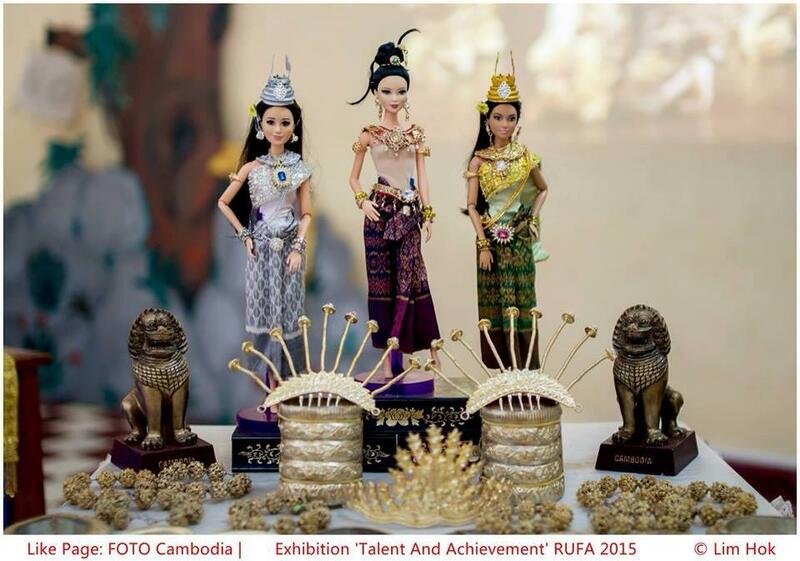 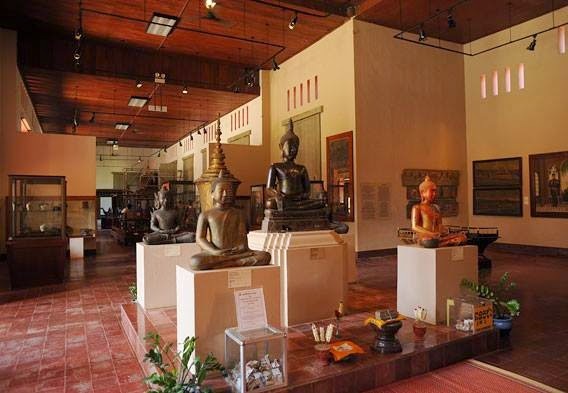 It's located at Siem Reap, Kingdom of Cambodia. 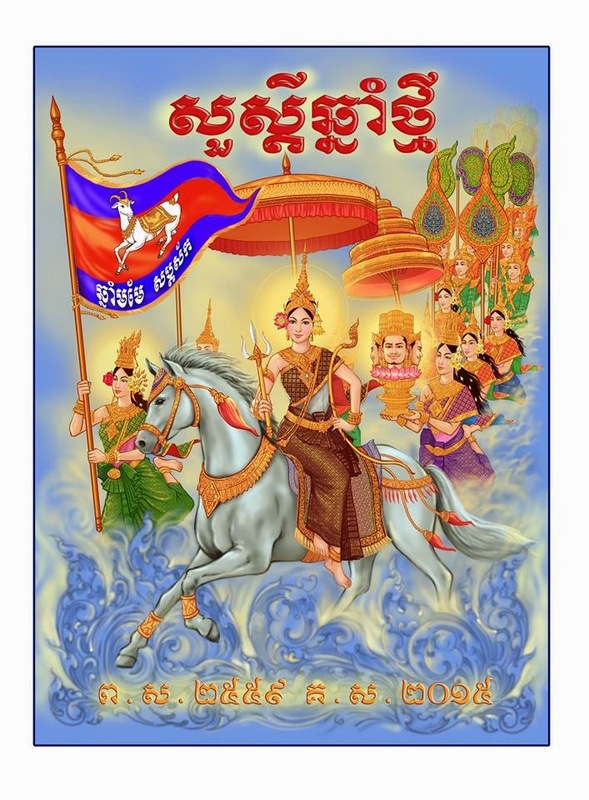 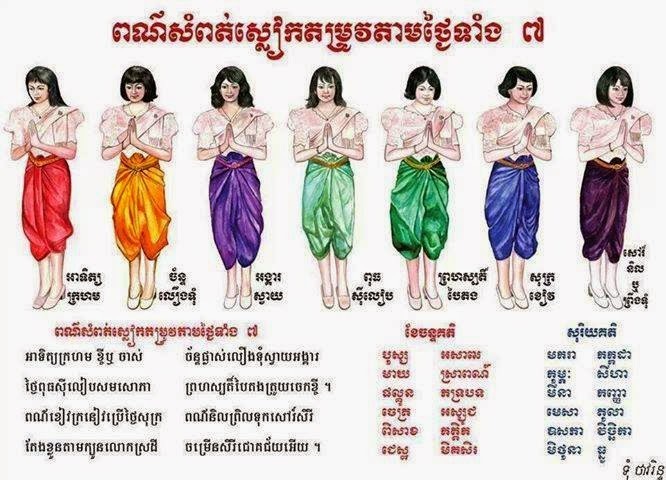 7 colors of Cambodia. 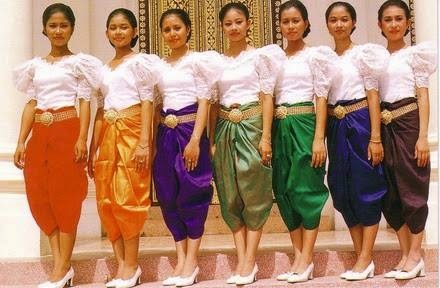 During special occasion, woman of Cambodia usually pick their sampot to match the traditional color for the day of the week an event is held. 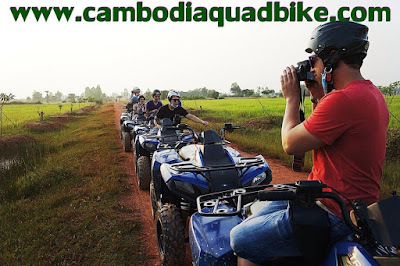 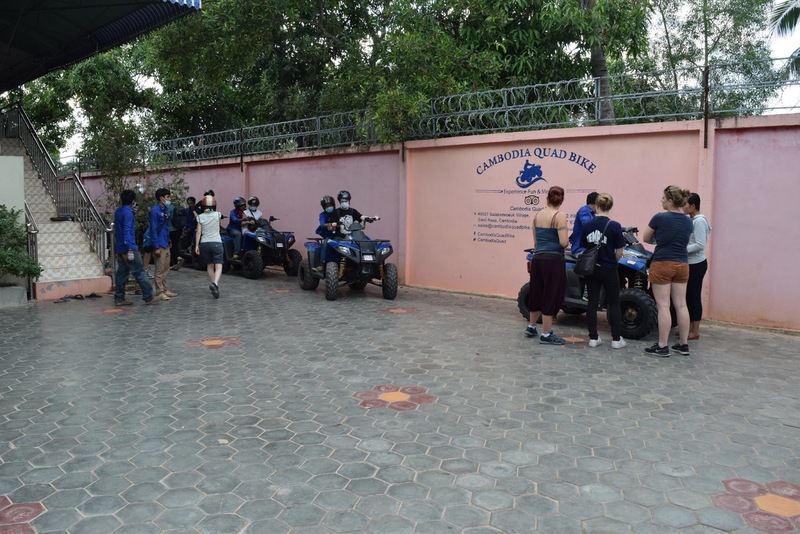 After the tour you can give us for review on the Tripadvisor, you can search our page Cambodia Quad Bike. 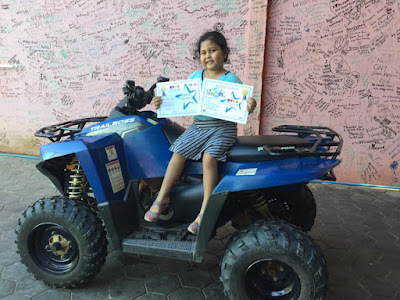 Happy with your family and your friends riding quad bike at the countryside. 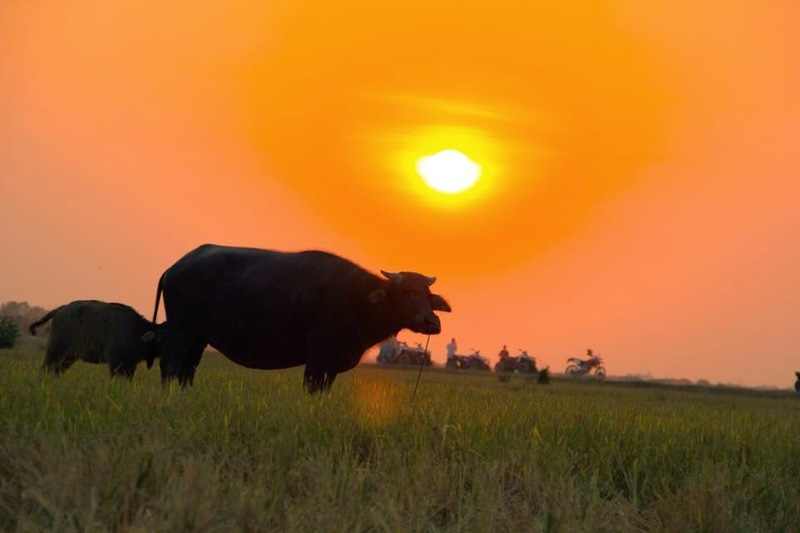 Beautiful scenery with the sunset,it's a good time for relax at the countryside.